MarvelClient Upgrade is one of several additional modules available for MarvelClient. It allows you to perform Notes client upgrades fast, easy, and from within your Notes client infrastructure. Panagenda released for free: MarvelClient Upgrade Free Edition. How do I get MarvelClient Upgrade Free Edition? If you are a MarvelClient customer, you should already have access to Upgrade Free Edition: Just perform an OnlineUpdate. If you only have MarvelClient Essentials, go here to request your free license. After minor issues, IBM together with HCL CWP Development, re-released Group 1 for Domino 10. These languages are: English, Chinese Simplified, Chinese Traditional, French, German, Italian, Japanese, Korean, Portuguese, Brazilian, Spanish. You can find language packs at Passport Advantage and see are Part Number packages. Do you need to change the font size in the Notes client? The Notes 10 client allows users to change the color theme. You can also set this up by using the Desktop Settings policy for all or some users. <R>,<G>,<B> represent the red, green, and blue values to use as the basis for the theme color. To push a notes.ini setting to clients, use the Custom Settings tab in a Desktop Settings policy. To evaluate different colors for the theme and to see color RGB values, from Notes, click File – Preferences – Fonts, Colors, and Themes. With the IBM Theme selected, click Customize Theme. Next to Choose your theme, click the color box. IBM HTTP Server. IBM HTTP Server (IHS) has been removed as an install option for Domino on Windows and is no longer supported as a tightly integrated HTTP replacement for Domino HTTP on the same machine. Older IBM Lotus file types for import and export. Lotus 1-2-3 file type is no longer available, by default, for view import or export.Use the notes.ini setting IncludeOldFileTypes=1 on clients if you want to enable these file type options again. The IBM iNotes ActiveX installer. The IBM iNotes ActiveX installer is no longer provided with Domino for iNotes. As of Internet Explorer 11, standard users can install ActiveX controls themselves and administrator access is no longer required. 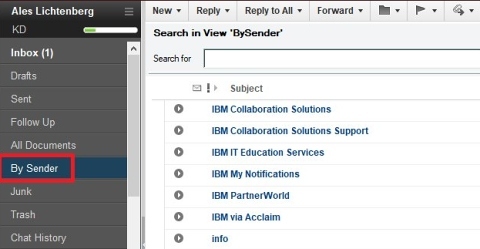 What interesting news can you find in IBM Notes 10 Mail? I allowed myself to choose a few helpful features. New By Sender view categorizes messages received by sender. Unlike the Inbox, it contains all messages you’ve received,even ones that you’ve moved to folders. 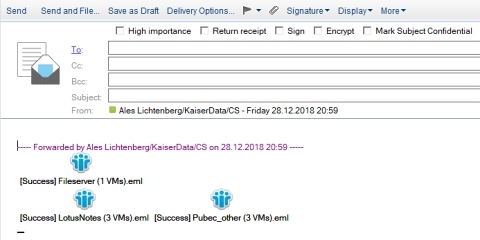 You need the IBM Notes 10 mail template (mail10.ntf). Schedule when messages are delivered. 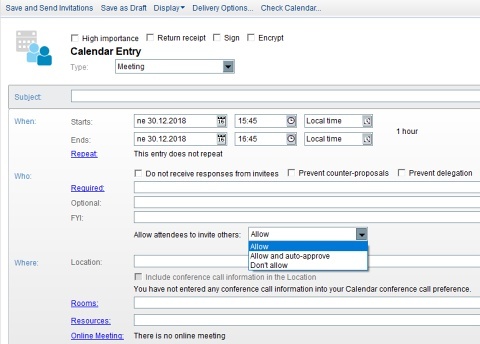 You can schedule a message to be delivered at a specific date and time. For example, you can send a message on the afternoon but schedule it to be delivered next day. You need the IBM Notes 10 mail template (mail10.ntf). The administrator must allow this option with a policy. Keep multiple forwarded messages separate. 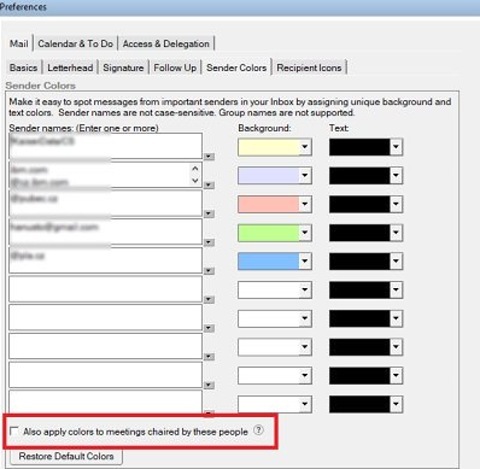 You can select multiple messages in your Inbox and forward them as .eml attachments. You need the IBM Notes 10 mail template (mail10.ntf). Second signature for replying and forwarding. You can create a mail signature to use just when you reply to or forward messages. This feature comes in handy if you use a more concise version when you reply to or forward messages. You need the IBM Notes 10 mail template (mail10.ntf). Send mail errors and warnings. 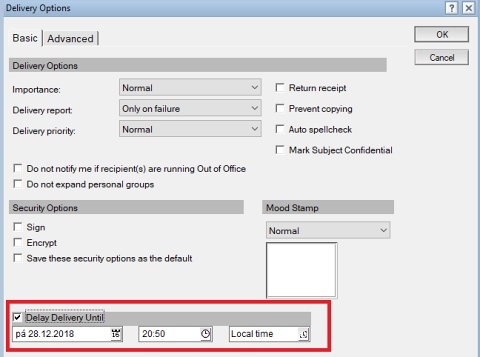 Administrator has the option to put limits on messages that you send, such as limits on the number of attachments or recipients. When you send a message that exceeds more than one of these limits, you’ll see all error or warnings messages at once.